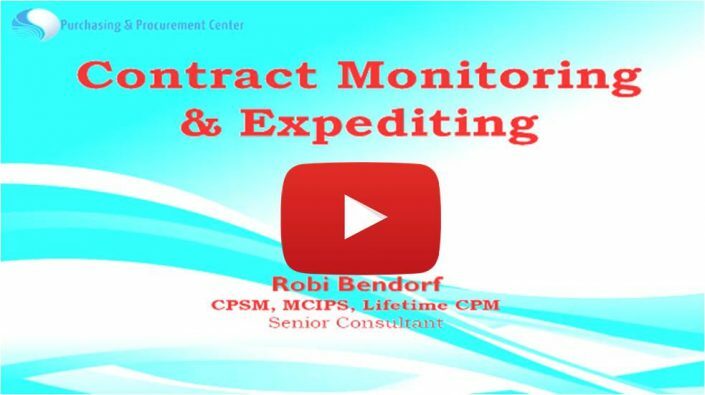 This short video is from a closed door presentation during our course on Contract Administration. 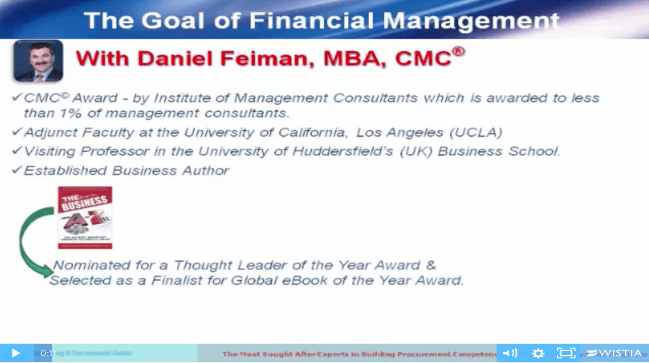 Attended by Contracts & Procurement Professionals from some of the largest organisations in the world, who paid up to USD 4,000 to be in the room. 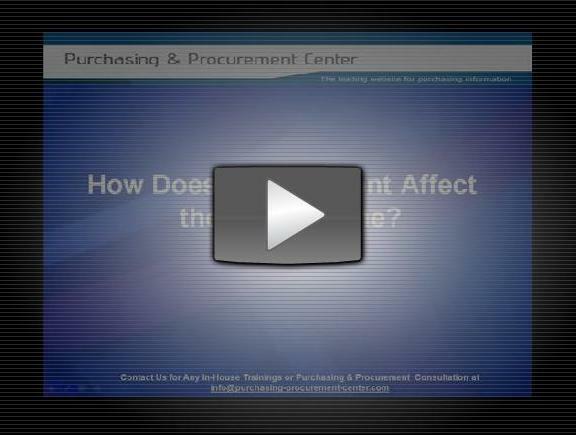 These 3 videos are short in nature, but what you learn is a 4 steps to effective leadership in procurement. 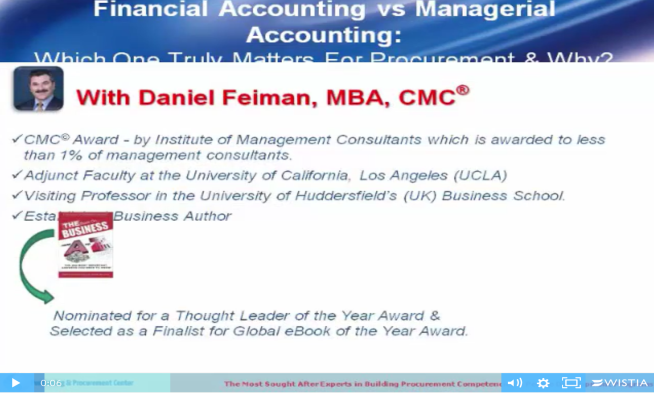 In this series we focus on what a procurement leader and manager needs to do to implement the right systems. 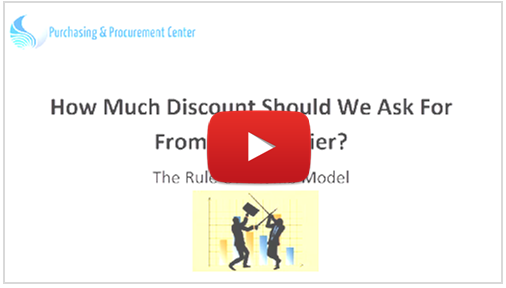 These 3 videos are short - less than 10 minutes each, but what you learn in each will give you a tremendous advantage when finding out & analysing supplier's costing. 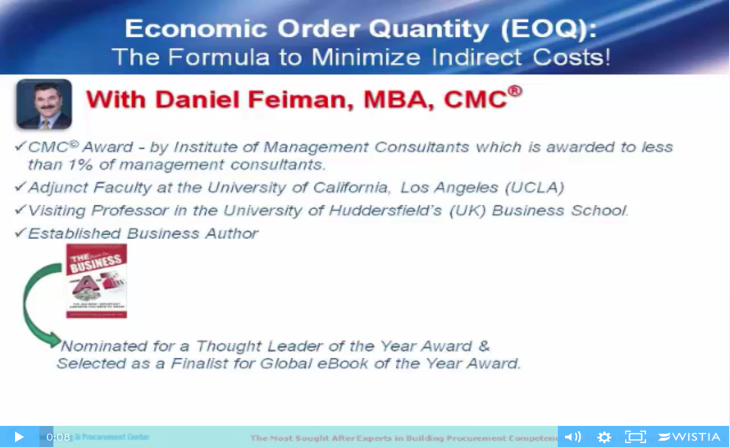 This Video on Demand Explains what is EOQ And How that helps procurement to minimize indirect costs! 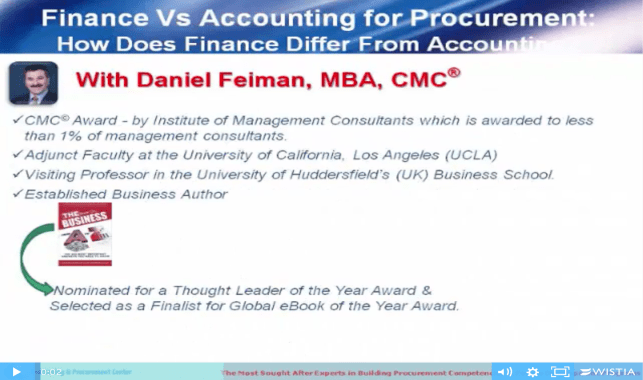 Understand the difference between finance vs accounting and what does that mean for procurement! 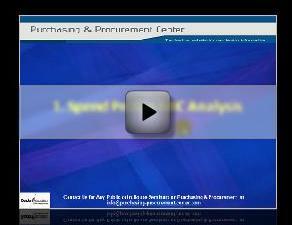 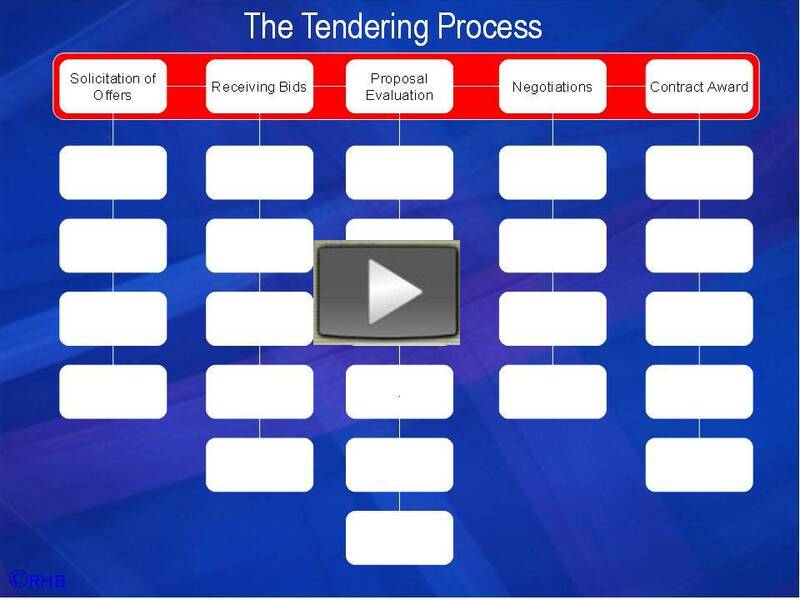 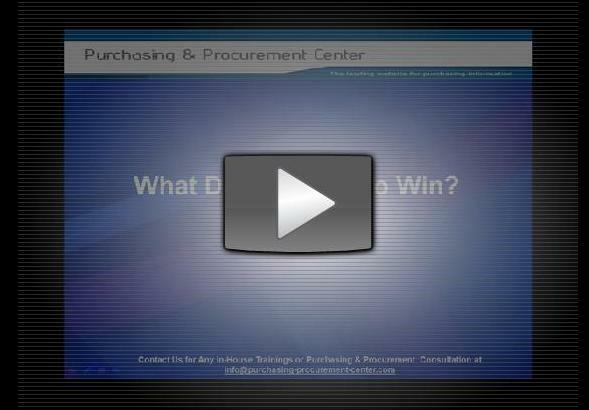 This video presentation shows 14 World class & Procurement best practices which you need to implement to become a world class purchasing & procurement organization. 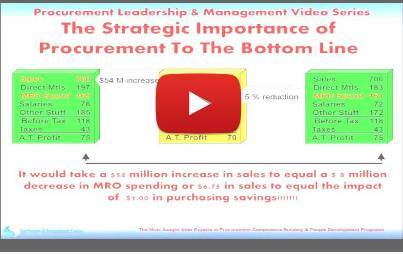 This Video presentation shows an actual example of a company where the Procurement Head showed the CFO & CEO how a 5% savings ($8 Million) equalled a $54 Million increase in sales. 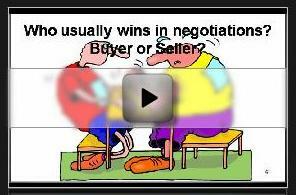 This Video presentation shows that the person who actually wins the negotiations is the person who is most …. 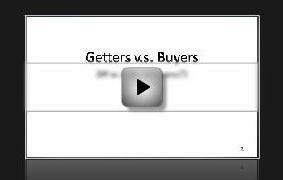 (the video will tell you this single word that really makes the difference between winning and losing). 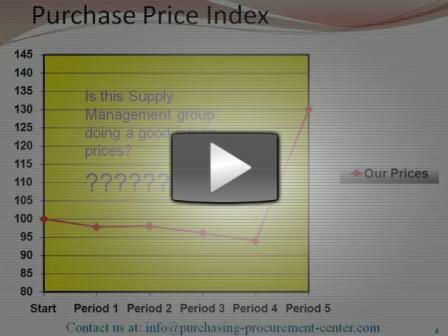 Purchase Price Index – Are you Doing a Good Job? 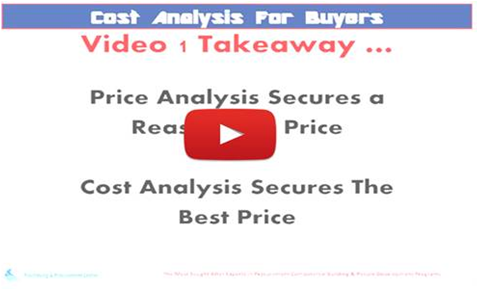 This Video presentation shows in details how to plot a chart of a purchase price index and find out whether you are resisting price increase or just going along with it.